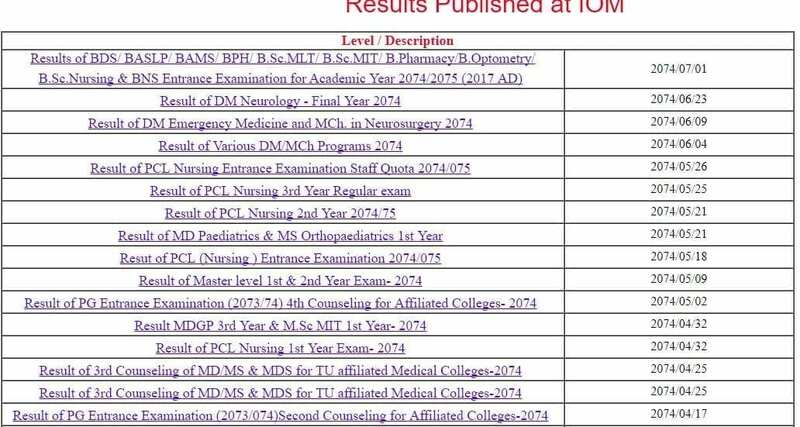 IOM.EDU.NP has published results of BDS, BAMS, BPH, BSC MLT, BSC MIT, B. Pharmacy, B. Optometry, BSC Nursing and BNS IOM entrance exam result for Academic year 2075 2076. Result of PCL Nursing Entrance examination usually gets published on the month of Bhadra. If you are taking your IOM entrance test, you can check your result now online at iom.edu.np. For your IOM entrance exam result, you must visit official website of IOM at iom.edu.np. You can check your result online from the official website. After going through official website of Institute of Medicine, you can see Notice Board in the right hand side of the page. 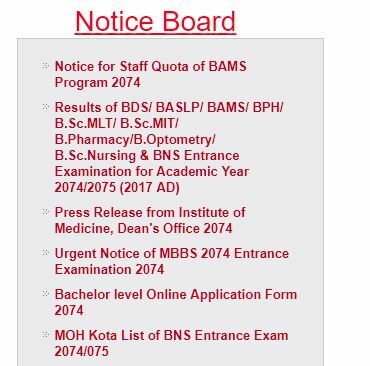 Notice Board is written in bold color in red text. IOM is also known as Institute of Medicine. IOM is affiliated to TU (Tribhuvan University). IOM has 12 campuses throughout Nepal. Among them, 3 of the campuses are located in Kathmandu. Rest 9 campuses are outside the valley. From what we have discussed above, it can be concluded that IOM entrance result is easy to check. The most important thing lies on the fact that you must visit official website of IOM to check your result. IOM conducts varieties of academic programs related to medicine field. Maharajgunj total has 76 seats including paying and scholarship. Total scholarship seat number is 46 along with 30 seats for full paying. Those students who ranked well will have more chances to get enrolled in best medical colleges. 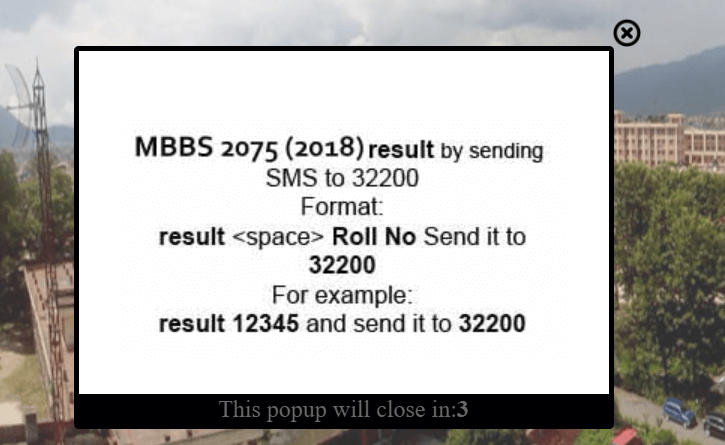 You can also check MBBS entrance result by SMS. For that, you need to type result and then give space and type your roll number and send it to 32200. The full procedure is provided in the image above.